Yesterday (23/02/2014) was indeed a very fruitful day, with a total of 10 players making the time and effort to attend the 2nd league make-up day for February. As always, it was an action packed and fun filled day with many exciting games being played at Aranda Lounge, Orchid Country Club. A total of 17 games were played, and many of the players have managed to clear quite few of their outstanding games. 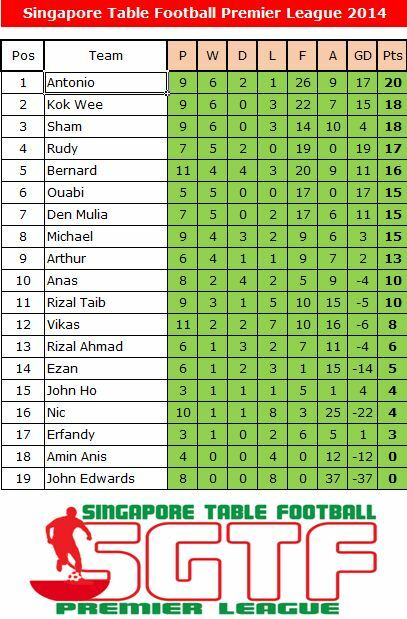 At the day’s end… Antonio goes top of the table for February, followed by Kok Wee and Sham on level points. This has indeed becoming a very interesting league to follow, with the lead changing hands after every session. 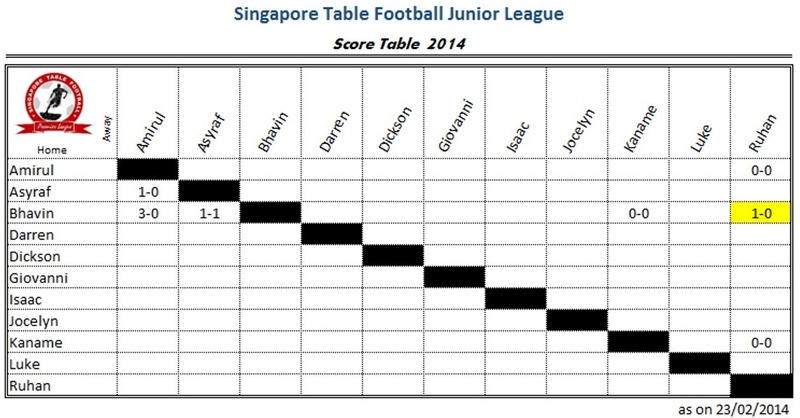 With the narrow win over his brother Ruhan, Bhavin seems to be the run-away leader of the Junior League at this time. 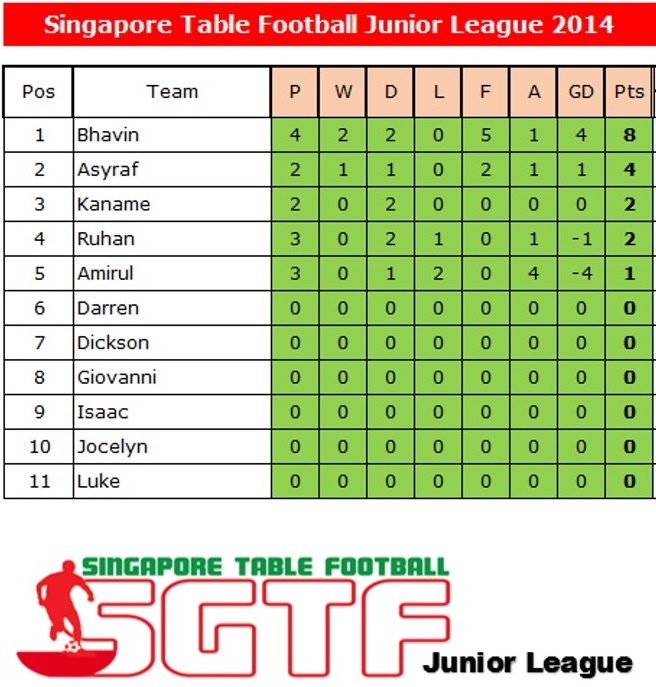 But with many of the Junior League players yet to play, can Bhavin hold on to the lead come March? So do join us in next officially scheduled session on 09 March 2014 in the Aranda Lounge at Orchid Country Club for yet another day of exciting Table Football action!